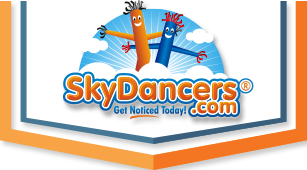 The 6ft Red & Black Sky Dancer attachment is an inflatable advertising product from SkyDancers.com. With it's unique Red and Black color combination, wavy hair and fingers, and catchy dance motion, this product will attract visitors from far and wide to your business or event. Make sure you purchase the trusted 6ft Red & Black Sky Dancer from the trusted source, SkyDancers.com. I like our new sky dancer. It will bring kids to the lunchroom to eat nutritious meals at our school. Sky dancer will promote exercise is good for the body. Let's move!